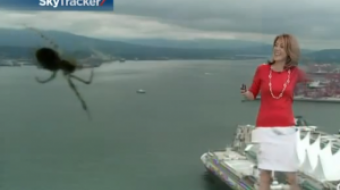 A giant spider is attacking Vancouver! Run! Run for your liiiiiives! So, no cause for alarm, then.